The crisis in Ukraine, which has persisted for over three months and brought down the government of President Viktor Yanukovych, has led to the biggest standoff between Western Europe and Russia since the Cold War. Ukraine lies in Eastern Europe with Russia to its east and Poland, Hungary and Slovakia to its west. Once part of the Union of Soviet Socialist Republics (USSR), it became independent in 1991 after the USSR's collapse. But Russia continues to exert great influence over its affairs. Ousted President Yanukovych was a staunch Russia ally. Protests erupted in the capital Kiev in late-November last year after the Yanukovych government rejected a treaty with the European Union that would have made Ukraine an associate of the EU, bringing it cheap loans and aid. Russia had opposed Ukraine's move and offered better terms, leading to Yanukovych opting out. Strong police action against the protestors - especially on February 20-21 when 77 people were killed and around 600 wounded - fuelled further protests across the country. Meanwhile, the Ukrainian Parliament voted out Yanukovych's government. The Speaker, Oleksandr Turchynov, has taken over as interim president. Ukraine is a divided country with much of the west seeking closer ties with Western Europe, while the east, which has a large proportion of ethnic Russians, preferring Russia. It was westerners who made up the bulk of protestors. Russia has been seeking to expand its influence by setting up a customs union as rival to the EU and believes Ukraine must be a part of it. There are reports of Russia already having sent troops into the eastern Crimea region of Ukraine. 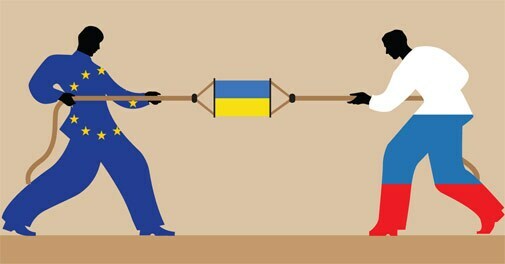 Ukraine's strategic position is crucial for both Russia and Europe. Russia supplies about 25 per cent of Europe's gas needs, and half of that is pumped via pipelines running through Ukraine. The country is also one of the world's top exporters of corn and wheat, and prices of these commodities could rise even on concerns of exports reducing or coming to a halt. A village school teacher in Anglesey, North Wales, called in police to warn students who, she believed, planned to 'spoil' their annual group photograph by not striking the acceptable pose. Ann Hughes had heard that some children were planning to remain grim or make faces when the camera clicked. Now she has a complaint lodged against her with the Professional Conduct Committee in Wales for her conduct. 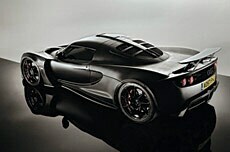 The Hennessey Venom GT has hit the highest speed ever for a production car: 270.49 miles per hour. Venom beats the previous best record of 269 mph set by Bugatti Veyron Super Sport. But the Venom GT won't be entering the Guinness World Record book just yet because the makers have taken it on just one run, and for a record to stand the driver has to go on more than that. The rise and fall of the Aam Aadmi Party (AAP) government in Delhi has led to many development projects being stalled. The worst affected is east Delhi as the AAP government disbanded the Trans-Yamuna Area Development Board, keen to bring in the Delhi Nagar Swaraj Bill, which would allow citizens to approve projects. Projects worth around Rs 35 crore, ranging from redevelopment of a lake in the Jheel area to construction of community centres, schools, dispensaries lie in limbo. Why does Sebi want brokers to go for a second IT vendor?